The story of how the footage made its way to CAAM, into 'The Chinese Exclusion Act' and back to its family. In November 2014, the Center for Asian American Media published a blog post asking for help identifying a "mystery film" that had come to CAAM's Memories to Light: Asian American Home Movies initiative. 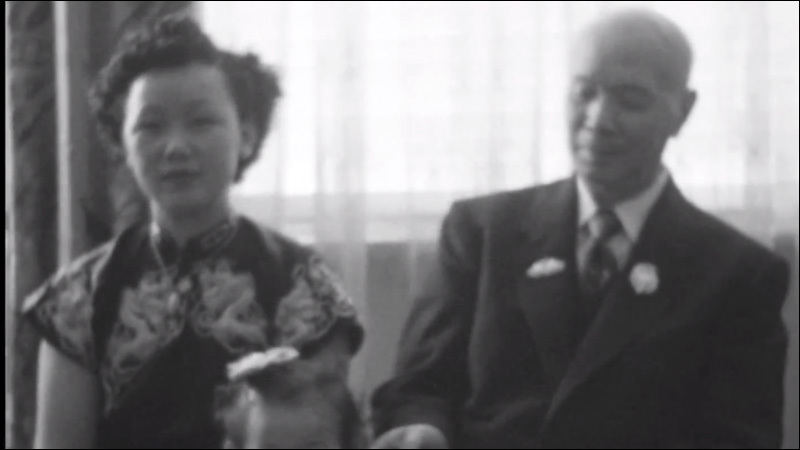 The footage shows a birthday party for a family elder in either the 1940s or 1950s. It is entirely in black and whtie and shows many family members in attendance. The family is made up of people of all ages, with the women wearing cheongsames (qipaos) and the men wearing Western suits. The family elder wears a dark suit and is frequently shown holding a framed golden peach, a symbol of longevity. The blog post was shared by this blog and other outlets, but nobody stepped forward to claim the footage. It seemed to remain an eternal mystery, just another unclaimed home movie languishing in an archive. Now, in the PBS and CAAM co-produced documentary The Chinese Exclusion Act, that footage has been used and incorporated into a larger history -- and as a result of it, the footage has been reunited with its family.